New ways of organizing our urban water systems are needed for multiple reasons. Some of these reasons include climate change, a demand for ecosystem services, watercourse protection, and urban densification, all of which have increased the pressure to develop new sustainable water management practices. Therefore, a concurrent demand has arisen for new knowledge, collaboration, as well as practical tools and methods. 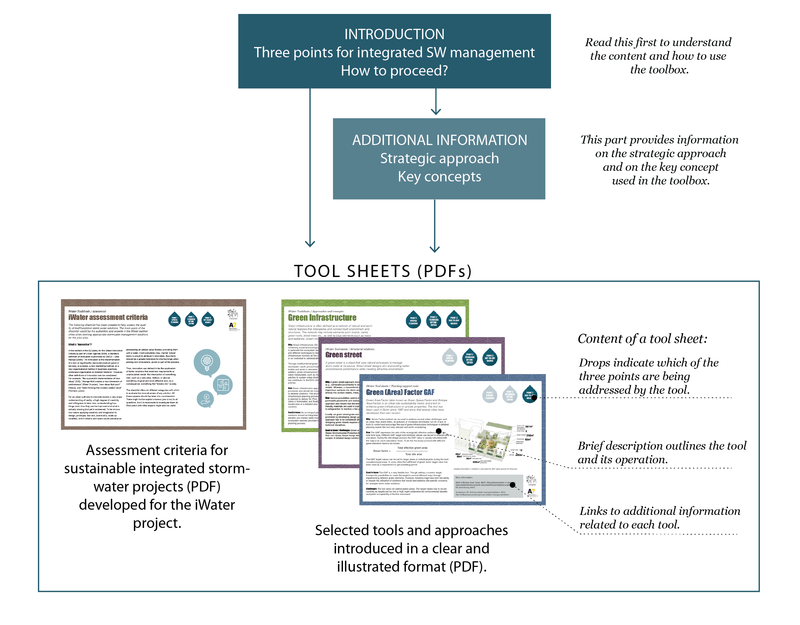 This toolbox introduces the most commonly used approaches and concrete tools for urban stormwater management. It gathers useful information for those interested in, or working with, the design, planning or management of urban water, in particular, landscape architects, architects, as well as urban planners and designers. The information is in an easily adaptable form, including further reading for those who wish to dive deeper. Furthermore, the toolbox focuses on approaches that are applicable or developed for northern climate conditions. 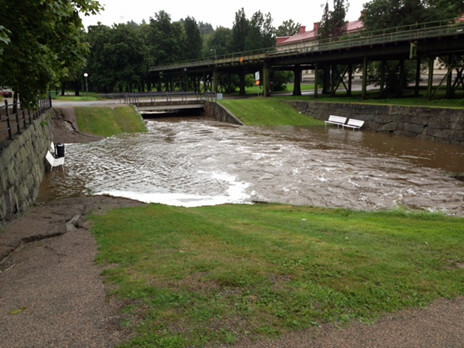 According to the projections of climate change, the Baltic Sea region is facing more frequent and heavier rainfall. Concurrently, densification has become a common strategy to improve the sustainability of urban regions. Together, these two factors are predicted to increase the risk of urban flooding with serious economic, ecological and social consequences. Urban stormwater management has become a major climate adaptation issue for cities globally. In the cities in the region of the Baltic Sea, current planning and management practices have been unable to meet the present challenges created by a combination of climate change and densification. Therefore, storm water management should be a top priority and integrated into urban planning and development processes at all levels. This approach must consider the management of stormwater as a resource rather than as a problem by integrating the enormous potential of water to support positive ecological and social urban dynamics. Thus, the management of urban drainage and the urban water cycle should shift from narrowly-focused approaches to an approach where multiple objectives drive the design and decision-making process. There is already a cultural change underway; while urban drainage has previously been seen only as a problem, the opportunities it presents are now widely recognised. Consequently, there is a wide range of approaches and tools to manage stormwater more holistically.